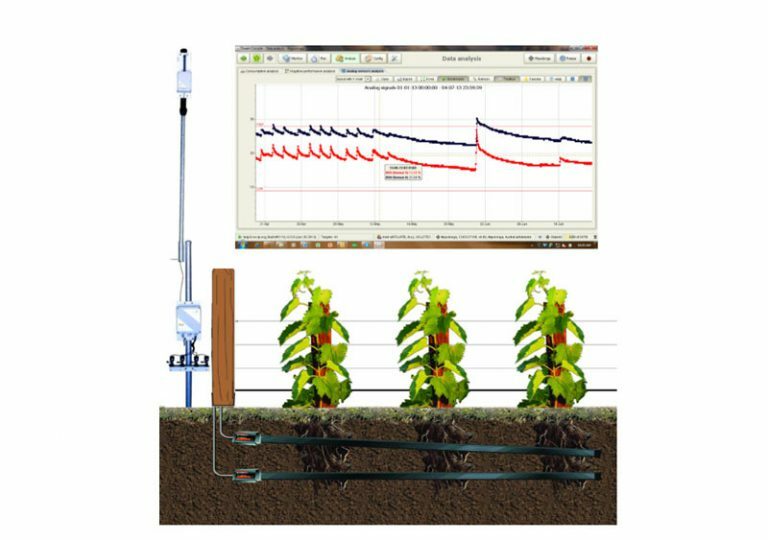 Goldtec’s Soil Moisture and Soil Temperature Monitoring systems provide the Grower with accurate soil moisture and soil temperature information to assist them to optimize the profitability and quality of an irrigated crop, pasture, vineyard etc. The Aquaflex sensor uses a patented electronic technology to measure the dielectric constant of the soil. Since the soil dielectric is a moisture-dependent property, these measurements can be converted to accurate measurements of volumetric soil moisture (the amount of water in a given volume soil).